Back in Sept. 2009, AT&T began requiring new smartphone customers to have monthly data plans, but existing customers with pay-as-you-go data plans were supposed to have been able to have their plans grandfathered in. Yet a number of customers who had their devices replaced either through insurance or warranty were mistakenly forced into monthly plans. 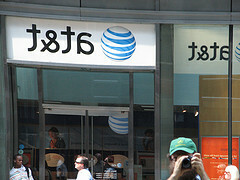 Now AT&T has agreed to let these people change their accounts back and receive refunds for the error. The refund agreement comes as a result of an FCC Enforcement Bureau investigation. In addition to the refunds, which could be as much as $25 to $30 per month for some customers, AT&T will pay a $700,000 penalty. “Today’s action sends a clear signal that wireless carriers can’t wrongfully charge consumers,’’ said FCC Chairman Julius Genachowski in a statement. According to AT&T, customers who have complained to the company about this issue have already received refunds. But the agreement with the FCC requires the wireless provider to do a search of its records to identify customers affected by the error. It must also notify these customers through their bills that they have the right to switch back to pay-as-you-go plans.